Old letters from our youth can trigger warm memories or nascent insecurities. Some should be published for their form and insightfulness. Others should be lost to eternity. The Chinese government may have wished for the latter for one particular letter that has unveiled yet-another possible example of state-sponsored doping. Russia’s athletics team is banned from competing in the 2016 Rio Olympics, and Kenya’s team is under threat of ban. Now China is facing scrutiny over allegations that Ma Junren, the coach of China’s female middle- and long-distance runners, forced performance-enhancing drugs on his team of runners. What we have told you about how Coach Ma verbally and physically abused us for years is true. It is also true that he tricked and forced us into using large quantities of banned drugs for years. We have a heavy heart and very complicated feelings in exposing him. The person who is said to have written this letter is Wang Junxia, who was coached by Ma until 1995. Under Ma, Wang set records and won titles in marathons, 10ks, 3ks and 1500 meter races. In 1995, Wang and her teammates left their coach. 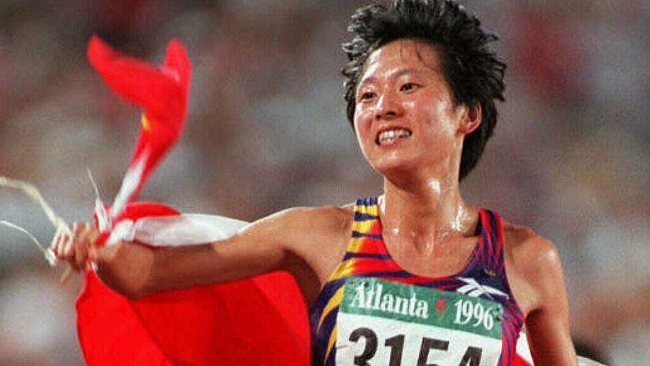 In 1996, at the Atlanta Summer Games, Wang won gold in the inaugural women’s 5,000 meter race, as well as silver in the 10,000 meter competition. Go to this New York Times article for the full text of the letter. Posted in Doping, Gender, Other Olympics, Track and FIeld and tagged doping, Ma Junren, Ma's Army, state-sponsored doping, Wang Junxia, Zhao Yu. Bookmark the permalink.